Dream of the perfect vacation? Dreaming to propos in an original way? Wish for a different level of hosting experience? We at Villa-Bus will make your dreams comes true! 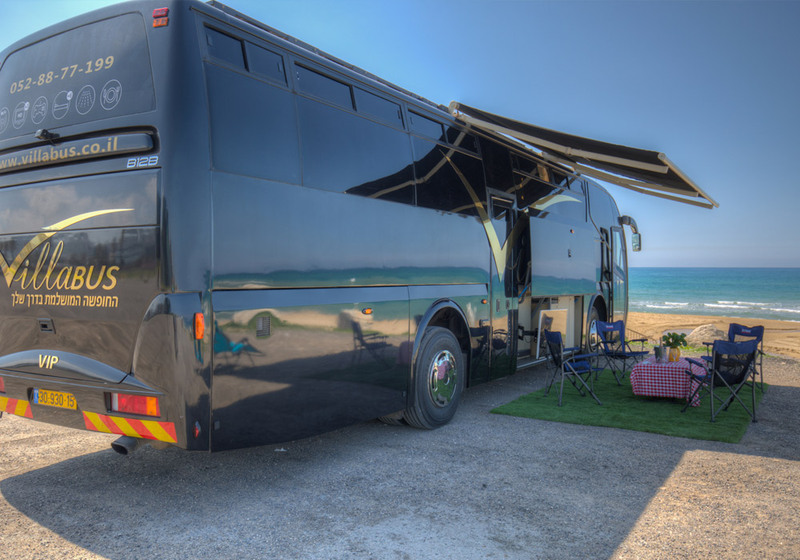 The Villa-Bus is the first and only boutique hotel on wheels in Israel offering a breathtaking design and unique views of the State of Israel. In the Villa-Bus you will find a luxurious accommodation complex, spacious bathroom and shower, a fully equipped kitchen, advanced communication and multimedia systems and an extra-luxurious outdoor hosting area to enhance the experience. The Villas will allow you to enjoy the beauty of the Mediterranean coast, enjoy cool breeze on the Red Sea coast, and enjoy Sunrise on the shores of the Sea of Galilee and many other experiences in the nature of the Land of Israel.